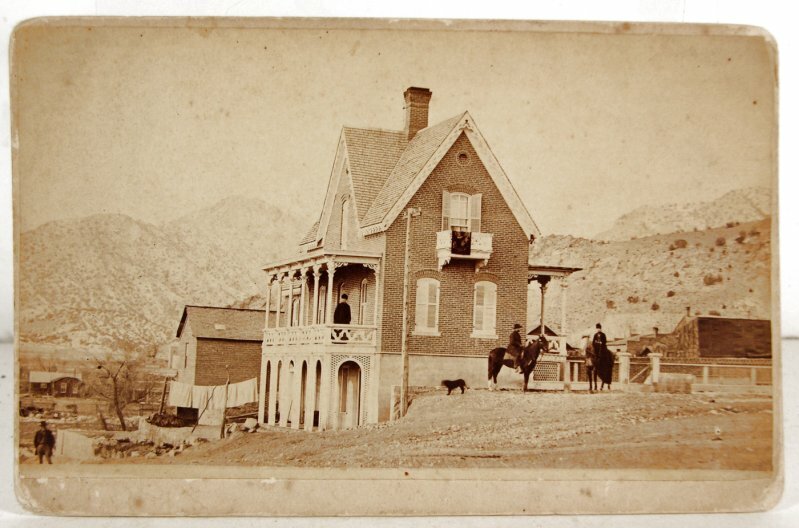 Image: Crossed gable, center chimney, Gothic Revival style Draper house, elaborate porches, balcony, Canon City, Colorado, ca. 1880. Albumin photograph, cabinet card size. Private collection.